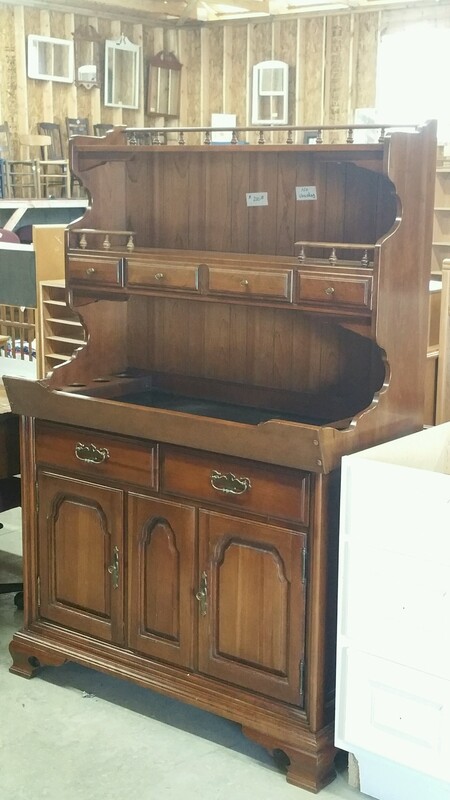 A solid wood hutch with a bar built into it. Only $150. Go to the Angels Furniture Store at the corner of Needmore Lane and Hwy 8. Usual open hours are Mon and Wed 9-12 and Fri 9-Noon.